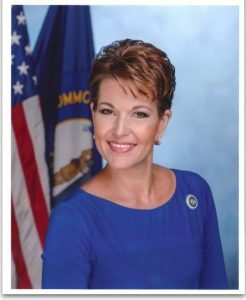 Wesley Manor will host the former Miss America, Heather French Henry, for a special program honoring veterans at 10 a.m. on November 7. They will hold the program in the assisted living center at 5012 E Manslick Rd, Louisville, KY 40219. Space is limited, so please RSVP to lpike@wesman.org. This entry was posted in News and tagged Heather French Henry, Veterans, Wesley Manor. Bookmark the permalink. ← Welcome Motion PT Group!